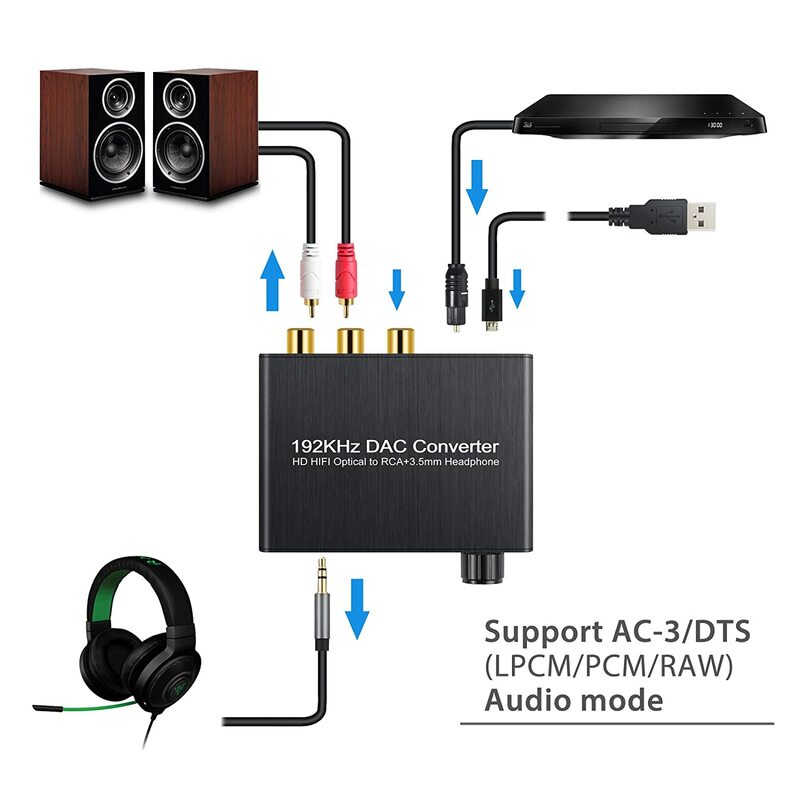 【5.1 Audio Decorder】 It Can Convert Dolby AC-3/ DTS 5.1CH Digital Audio Signals to 2.0CH Analog Audio Signals And Support Dolby AC-3/ DTS/ LPCM/ PCM/ RAW Audio Mode. 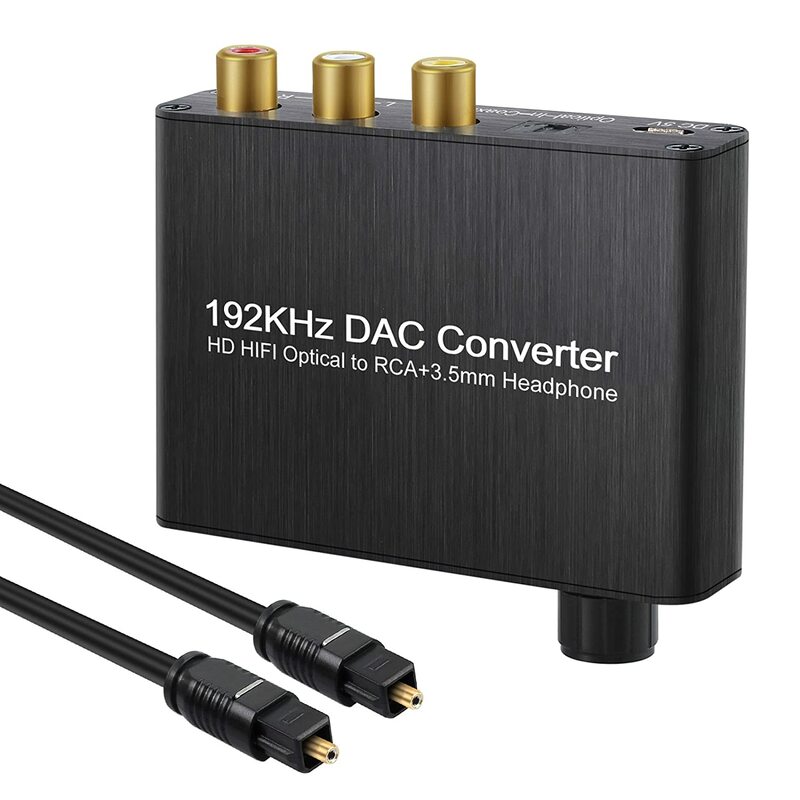 【DAC Converter】 It Converts Coaxial or Toslink Digital Audio Signals to Analog L/R Audio and Available for Connection to An External Device Such as An Amplifier via Standard RCA Jacks. 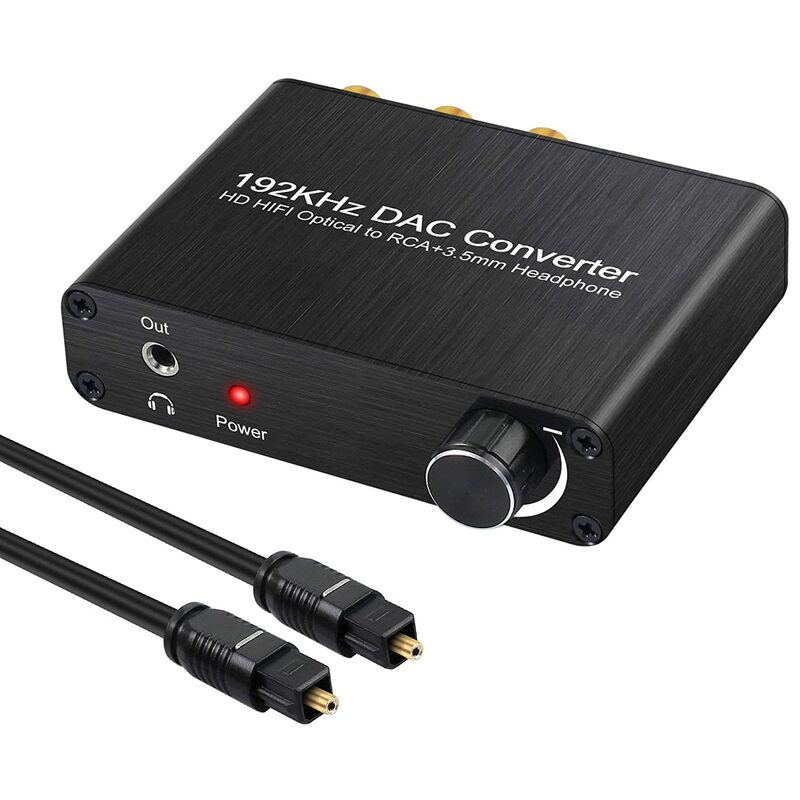 【192KHz Sampling Rate】Supports Sampling Rate at 32, 44.1, 48, 96 And Even 192 KHz, Also Supports 24-bit S/PDIF Incoming Bit Stream on Left and Right Channels. 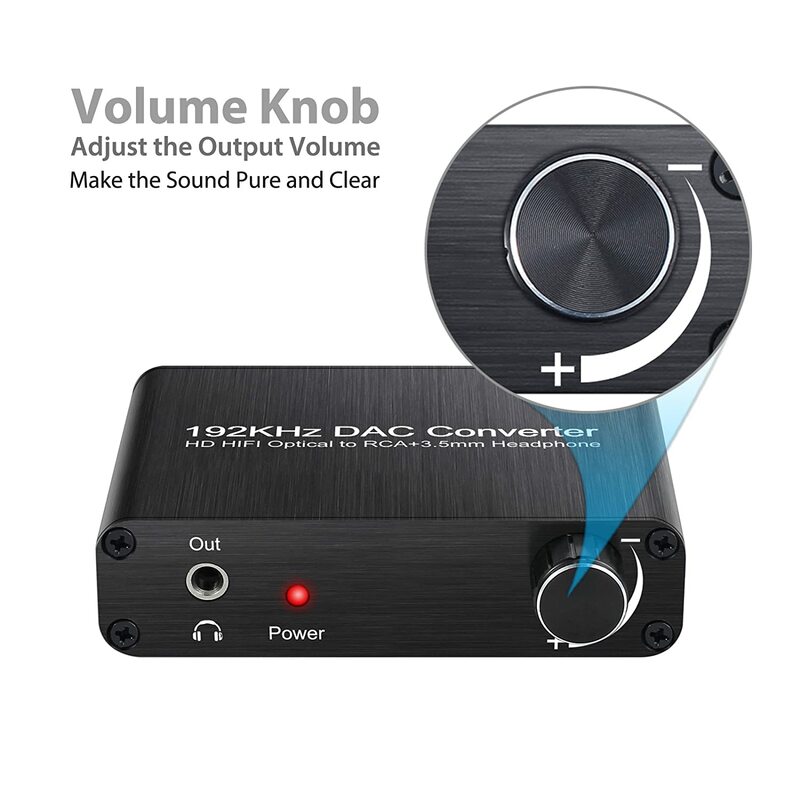 【Volume Control】This DAC Converter Comes with A Volume Control Knob, Which Can Adjust The Volume of 3.5mm Headphone Output And RAC Output. 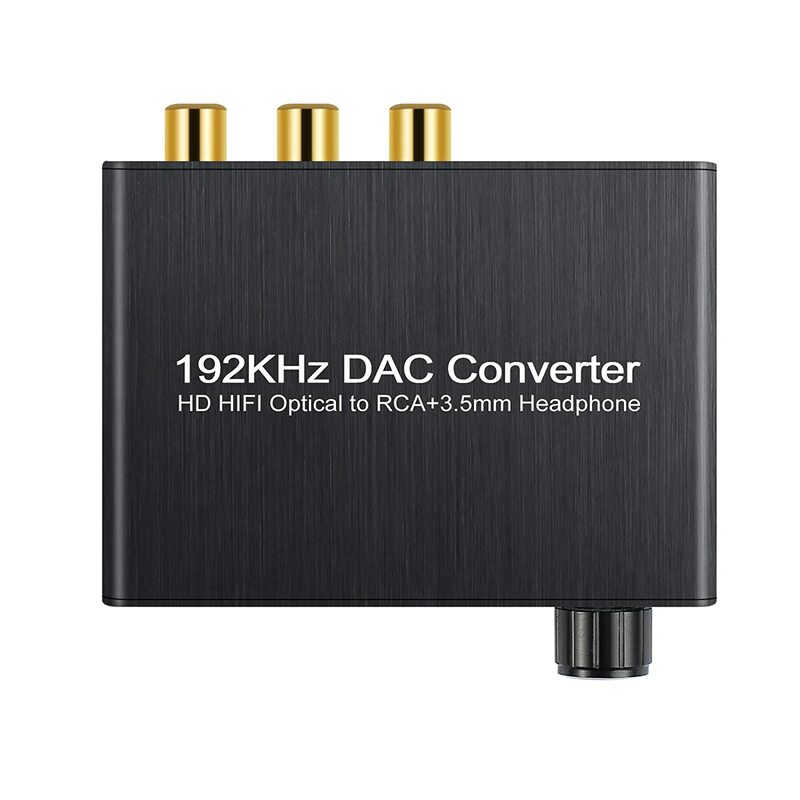 Convert optical/coaxial channel(Support LPCM/PCM/RAW) input to 2.0 channel analog audio output, and support decoding Dolby AC-3/DTS (include 5.1 RAW digital audio streaming). 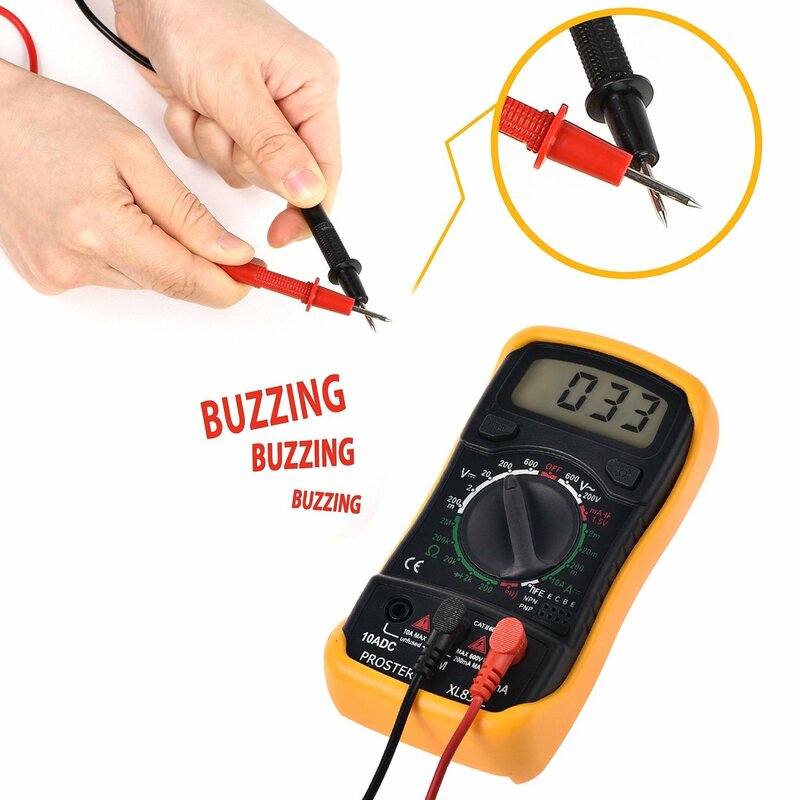 So it is widely used in families, schools, squares, concert halls, cinemas and other public places to enjoy the shock effect of DTS or Dolby. 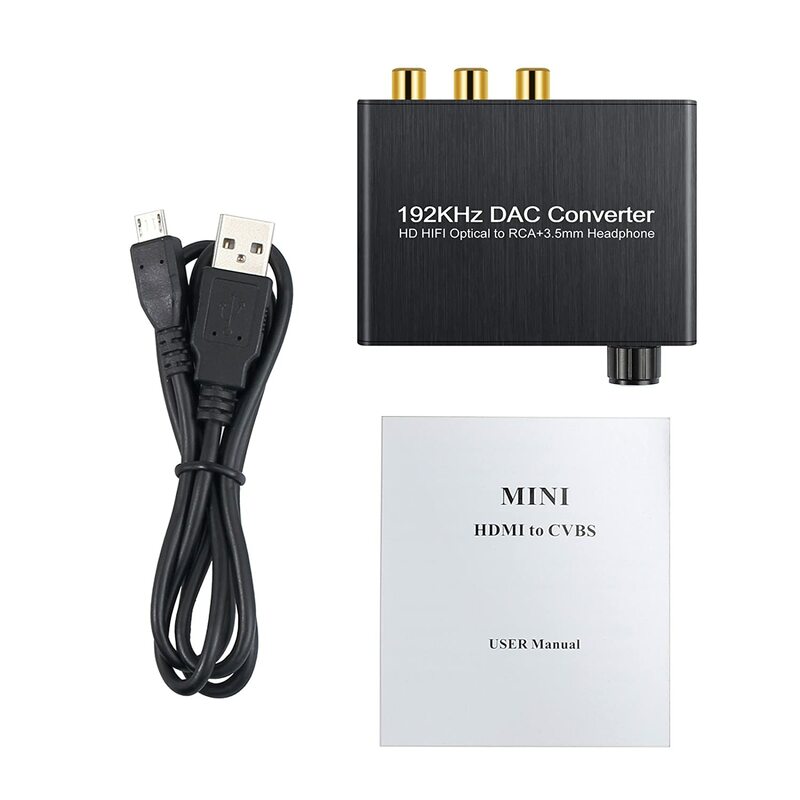 1.Build-in high performance RTOS operating system and audio decoder chip; support DTS/AC-3. 4.Auto switch between optical and coaxial channel input. 5.Auto decode AC-3/DTS (LPCM/PCM/RAW) input signal without any action. 6.High compatibility: Support network player, HDTV, Blu-ray DVD, DVD, PS3, XBOX 360, DM500S, DM800HD, etc. 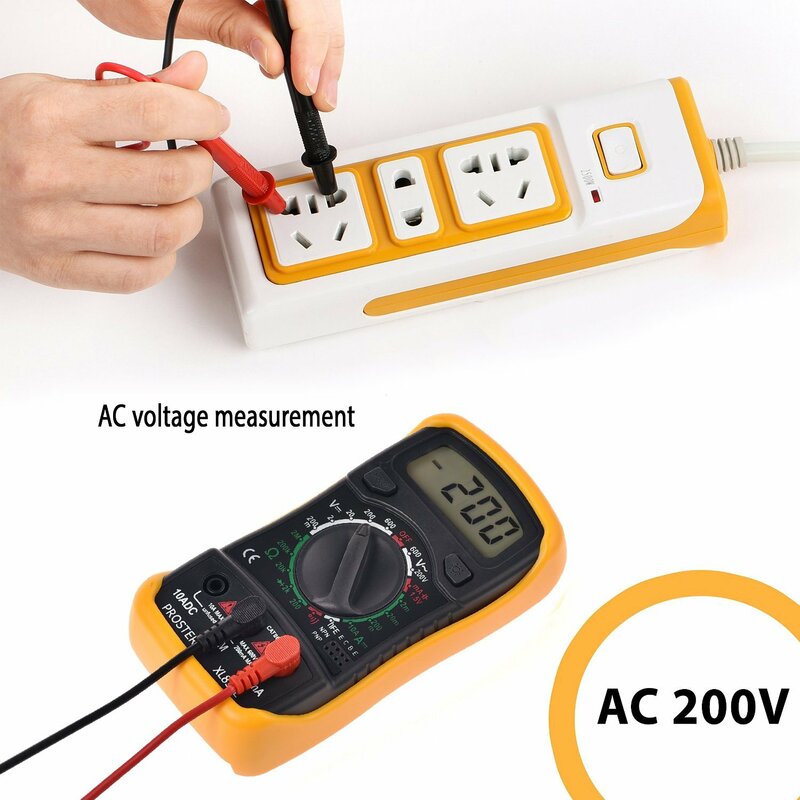 7.Small Size and Metal case, Anti-interference. 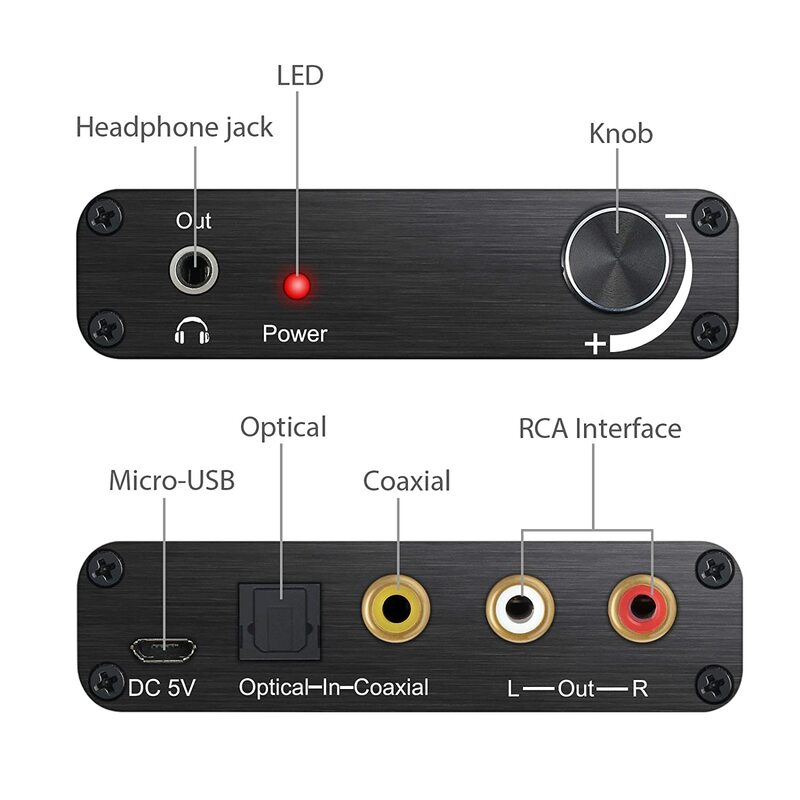 8.Adopt RCA/3.5mm Headphone port output ,convenient and efficient in use. 10.Actually supports sampling rate at 192kHz 24bit.